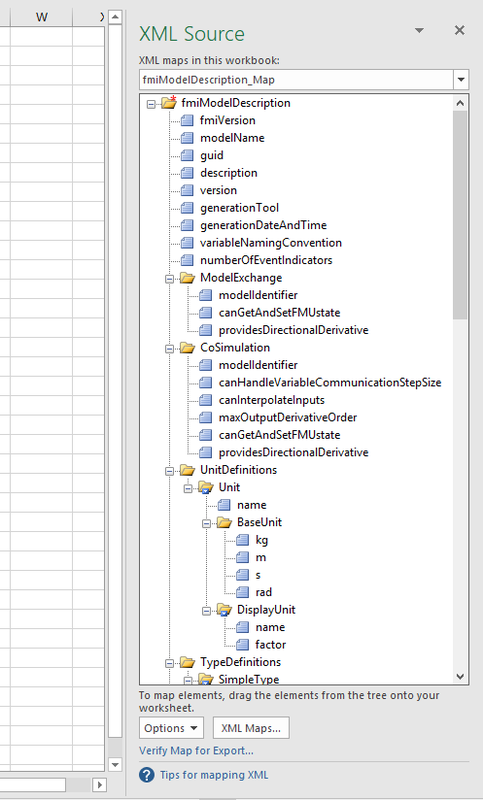 From within Dymola we can export a list of the model parameters and filter them by subsystem. Figure 1: Double pendulum example. 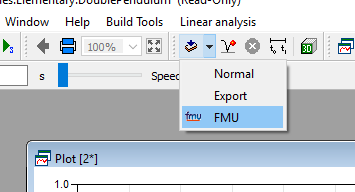 Figure 2: Export the model as an FMU. The xml file will be created in a folder called “~FMUOutput” in your working directory. It is called “modelDescription”. 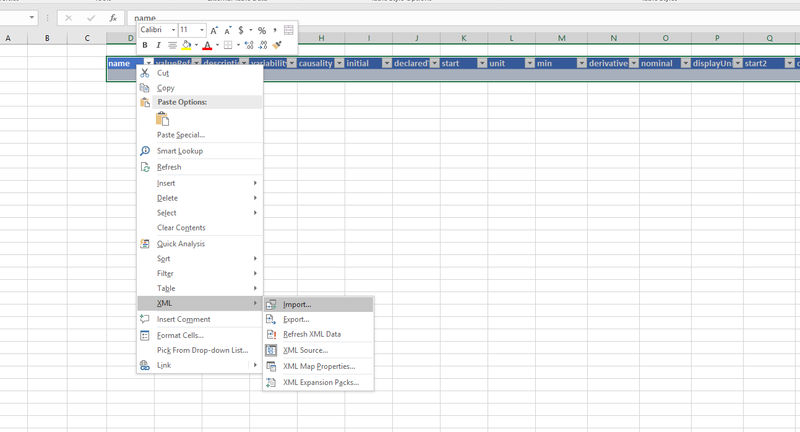 The next step is to open Excel and to go to the Developer tab. 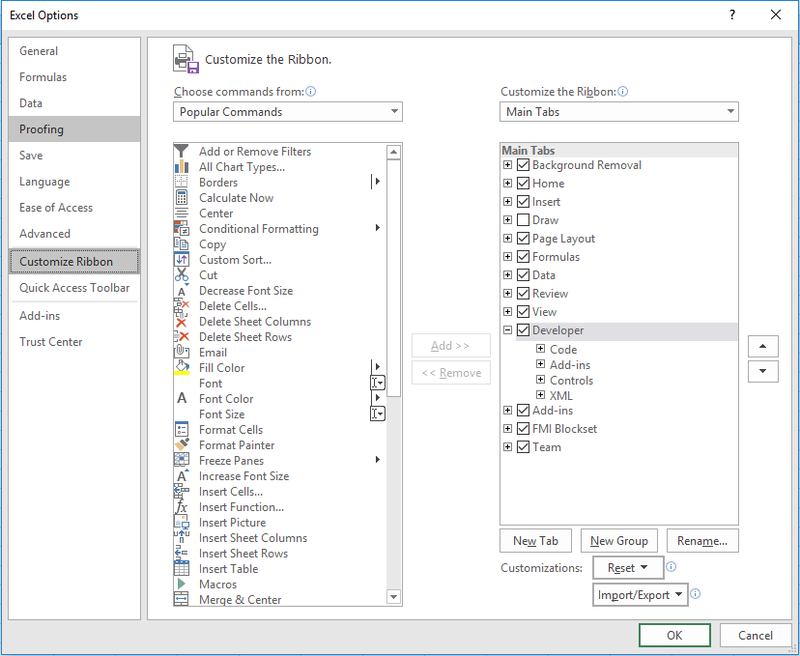 To enable it in case it is not already, click on File, Options and then click on Customize Ribbon. Find Developer in the list and add it. Figure 3: Add Developer to the list of tabs. Figure 4: Ready to import the XML Map. Now click on Add, then browse to the location where the XML file has been created, select it and click open. Click OK to add the map. Figure 5: Model description map. We can now scroll down in the map and look for the model variables. 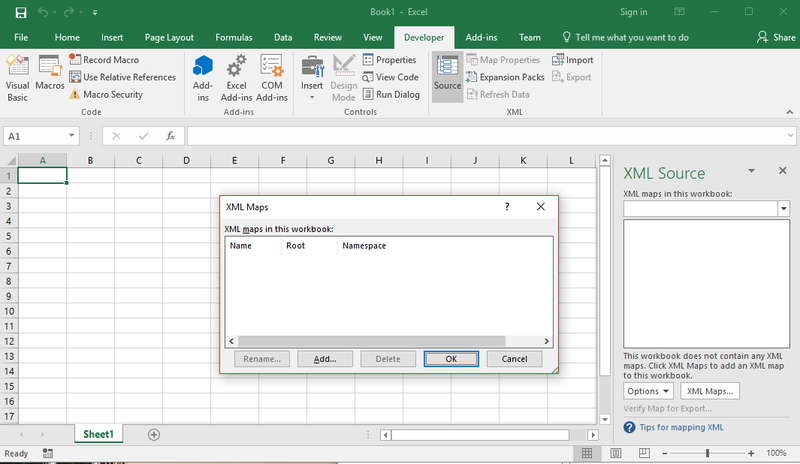 Let’s click on ModelVariables and drag and drop the selected part of the map to an empty cell on the Excel sheet. Figure 6: Ready to import the map data. After clicking Import, browse to the XML file location and once selected, click Import. 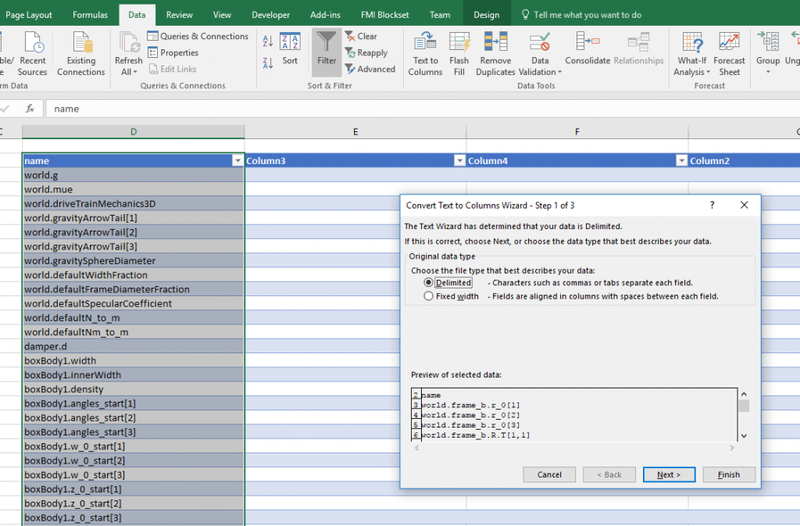 The list of parameters and variables has been imported to the Excel file. 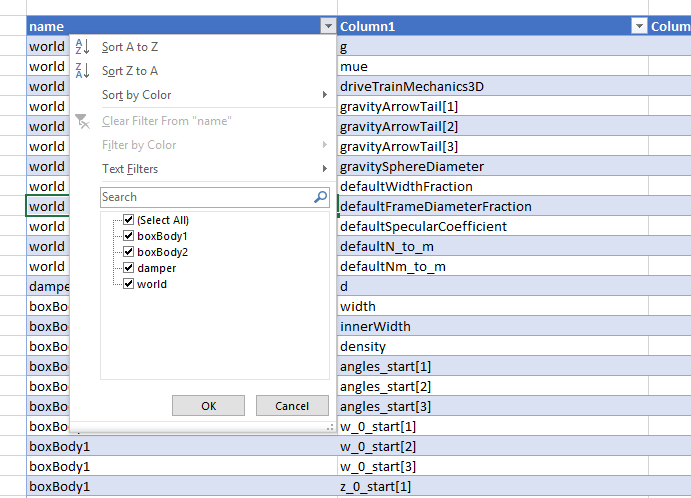 To only see the parameter list, click on the causality tab on the map and tick “parameters”. A number of filters are available by just clicking on the arrow of a tab of the map. The parameters are named by their full paths in the model, they have a description (the same as in Dymola), a unit, a value, etc. If the model is big, the list of parameters will also probably be quite large. If only the parameters relative to a subsystem of the model are of interest, we can filter them out. Figure 7: Filter the parameters of one subsystem. 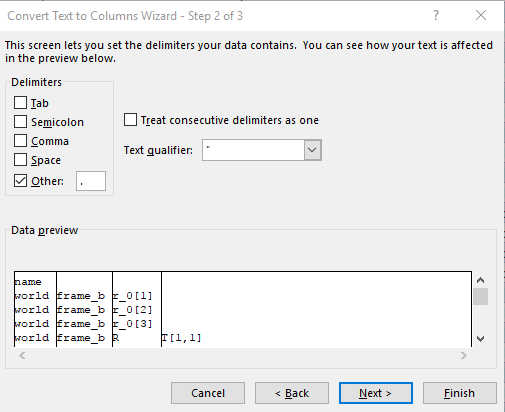 Click next then choose a dot “.” as delimiter and click finish. Figure 8: Split the path of the parameters. The path of all the parameters has been split, one layer in the Dymola model corresponds to one column in the Excel file. Figure 9: Filter the parameter list by subsystems. This trick obviously makes more sense with bigger models where there are a lot of parameters!